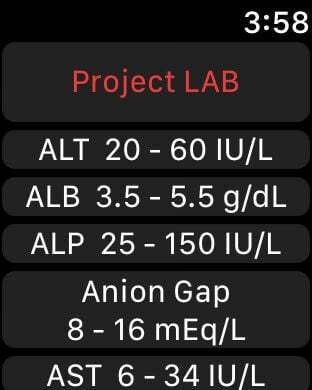 Project LAB - the Best Medical Lab Reference App in the App Store, Just got even better. Built from scratch with a new Simple and Friendly user-interface, you'll find what you're looking for in seconds. - The best place for you to finally understand what your health check-up results really mean. - It is great for Medical Students who want to have a pure, simple, and fast way to get the knowledge they're looking for, every word counts in the app. - A wonderful reference for Physicians. 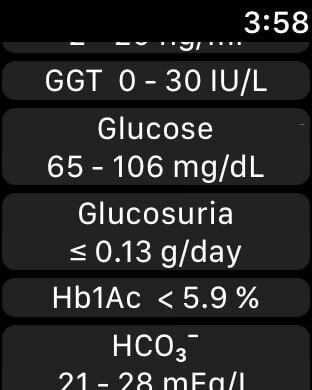 The App includes a reference and a GREAT and SPECIFIC EXPLANATION for each subject in the CBC Panel, CMP Panel, and UA Panel, With a Differential Diagnosis for each Lab Test. All you need is inside here, we made sure that you read only what matters. As we said every word in the app counts!! * You can find a brief explanations about any condition, disease, medication, or medical-term that are mentioned in the Differential Diagnosis, in a special section (we call it now: Project LAB Dictionary) available in all iOS versions, (previously only in iPad). * You can filter the Questions by Panel, in the Quiz. * Real Search with option to filter by Panel. * Apple Watch Companion App for a quick normal value check. - App Widget: Keeps for you a line of knowledge in the Notifications Center. - The App works in any orientation in the iPad (half screen, side, on top, etc). - The App works perfectly offline.